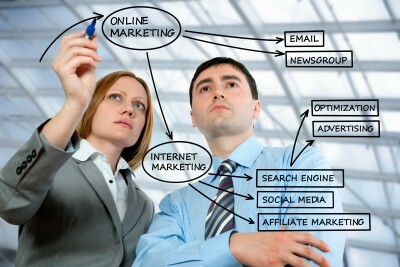 The Hubspot name comes up quite frequently in the world of online marketing. With all the hype around the brand, what does Hubspot actually do for the marketing world? In just a few words, Hubspot knows how to generate leads. When your marketing services partner utilizes Hubspot, you can be assured they are using the best tools in the industry to improve your web site traffic and bring qualified leads to your business. Consolidates the management of all inbound marketing initiatives for your business – with one “hub” your marketing provider can manage web content, blogs, social media, emails, Ebooks, white papers, articles and more. Optimizes your SEO – in a way Hubspot kicks SEO to a new level by providing a consistent enforcement of your keywords and search phrases across all of your online channels instead of focusing on just your web site. Analyze en masse – with the data analytics capabilities of Hubspot information on visitor traffic, demographics, promotion effectiveness, campaign updates and more. Present a consistent message – you can coordinate your marketing message across multiple platforms so there is virtually zero confusion or conflict. This gives your target audience the right information to help influence their purchase decisions. Receive qualified leads – through the tools provided in Hubspot the leads that you receive will be more qualified and much more likely to convert into customers for your business. The results from Hubspot speak for themselves with increased web site traffic, how to generate leads, and higher conversion rates. Your marketing services provider can call upon all of the capabilities of Hubspot to make the most out of your inbound marketing initiatives. For more information please call us directly or click the button below and we will contact you. Thank you.